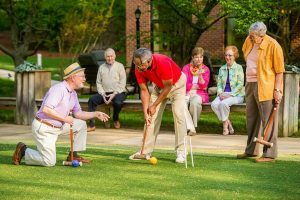 What better time than now to take steps to prepare for retirement living? With a move to Springmoor, you will have time to enjoy the activities that you have always had to try to squeeze into weekends or after work. You will no longer need to spend your weekends taking care of the lawn or calling and waiting for home repairs. We will take care of home security while you are out of town. We will do your housekeeping chores and prepare dinner. If you need to see a doctor, a nurse or schedule rehab, you can do it all here on our campus. 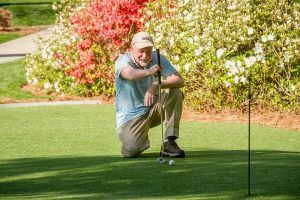 We suggest these five steps to help get you started toward enjoying your retirement at Springmoor. 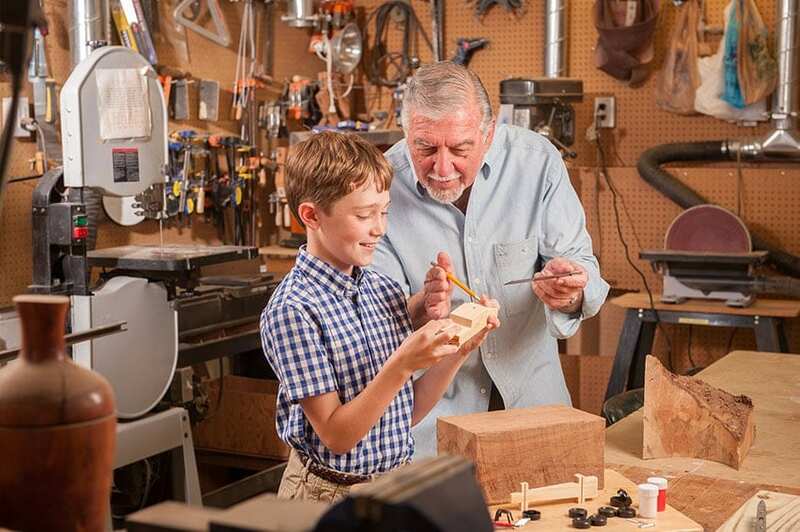 The Woodworking Shop provides a great place to continue your hobby, a place to share and store your favorite tools. Before you begin your visits to communities in your area (or in an area close to your family), we suggest you meet with your financial planner to gain an understanding of what is within your budget. A financial planner can help prepare and consolidate the documents needed to discuss your future resident options. They can give you a budget to work within and guide you towards making an informed decision about your future home. The Wellness Center offers a variety of water fitness classes in our heated saltwater lap pool. Evenings are perfect for a swim with your grandchildren when they are in town. This step is easy. You can request a tour online or call our office at 919-234-7626. We look forward to meeting you, answering your questions and showing you the campus. Gaining knowledge about our community will help you make an informed decision about your next move. This step at Springmoor usually takes at least two or three visits. Plus you have the opportunity to attend marketing events to learn more about the community and related topics. The Croquet Court is perfect for neighbors or for entertaining your family when they visit. Once you have made your choice, it will be necessary to add your name to the waiting list. Like most Continuing Care Retirement Communities (CCRC), Springmoor works from a waiting list. Choosing the size and floor plan that suits your needs will be part of this step. Smaller alcove apartments have a shorter wait time while our larger individual homes with an attached garage have the longest wait times. Of course, these times will vary depending on your specific requests. A marketing counselor can help guide you towards the best fit for your lifestyle. This is an important step in preparing for your move as the large number of baby boomers in this area has increased the wait times. 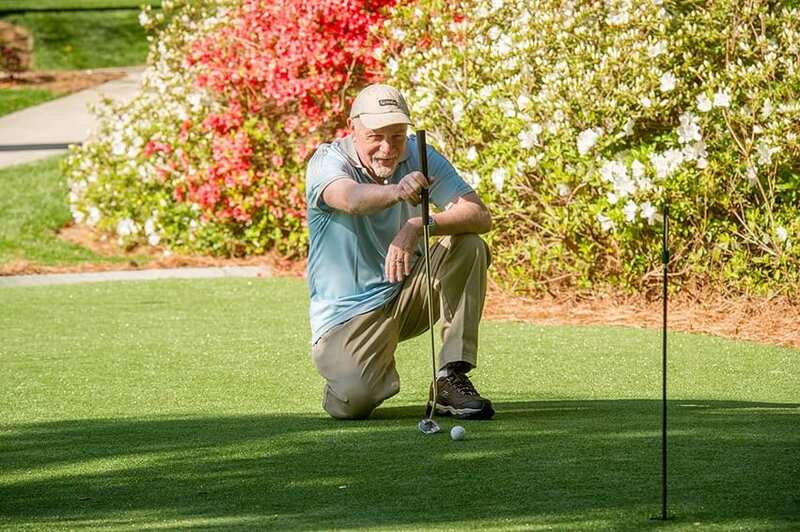 Putting on The Springmoor Green is great for a little competition among residents. Now that you have chosen a community and have a possible floor plan or two in mind, you can begin to downsize. Your kitchen is probably filled with baking sheets and serving dishes. 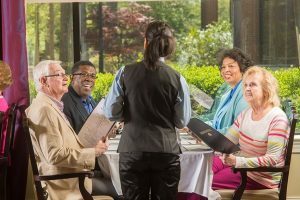 Most find that having our dining room staff prepare meals means there is no need for so many kitchen accessories, serving dishes and utensils. The downsizing can begin! Cleaning out drawers, cabinets and even your attic can take time. Beginning the process is an important first step. Giving yourself ample time to downsize takes the stress out of this big task. Having advice from a Rightsizing Specialist can also help. 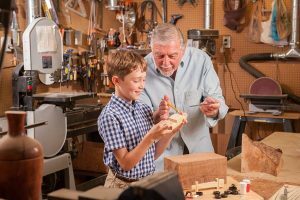 A Rightsizing Senior Move Specialist can offer advice and guidance when the task seems overwhelming. They can provide several floor plan options using your favorite pieces of furniture. They can give you a list of places to donate, auction or sell pieces that you will no longer need. They will arrange pick-up services for the larger items too. With their prior experience, it is easy for these experts to walk you through the downsizing steps in each room of your house. Packing and unpacking for your move will be the final steps in the services they can provide. 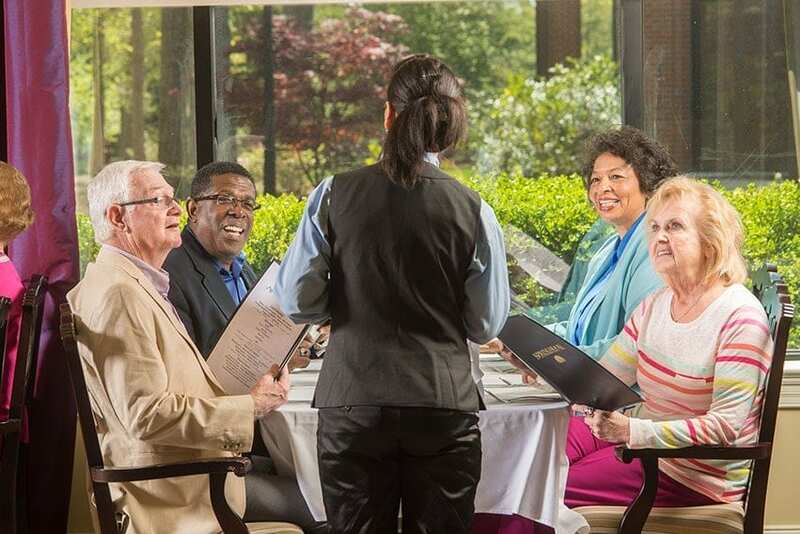 There are four options for dining at Springmoor – you can choose a casual or formal option for almost every meal. This step prepares your house for the market. An agent can offer advice on home repairs that will be needed. Power washing, painting, wood repair and carpet cleaning will be part of the steps you may need to take to prepare your house for sale. This process can take several months and with their assistance you will be able to schedule all of the contractors needed to make your house look it’s best for the market. These five steps will take time. We suggest you start planning early. There is information to gather, properties to see and questions to be answered by financial planners, rightsizing experts, and real estate agents. 2018 is the year to schedule these appointments, add your name to the waiting list and begin your downsizing. It is time to enjoy your grandchildren, travel and read a good book. It’s the year to take a tai chi class, join a writer’s workshop or learn a new skill. Happy Retirement! Springmoor looks forward to showing you our community and all of its wonderful amenities.